Sweet soup has become very popular in Vietnam; you can easily find it almost everywhere included restaurants, food shops, on the street, etc. 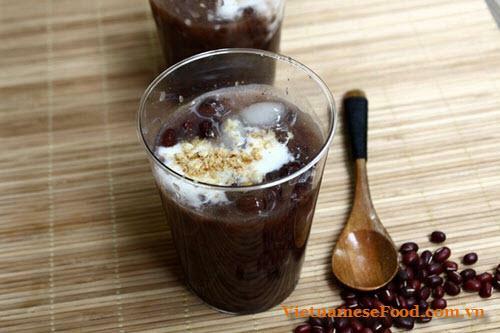 Red Bean Sweet Soup with Tapioca and Coconut Milk (Chè Đậu Đỏ Cốt Dừa) is one of our stunning Vietnamese Recipes. Having spent all day outside, under the unbearable sun? No worries as this dish will cool off your body temperature right away and provide you with plenty of energy & nutrition. Step 1: Red bean need to be screened first to pick out the floaters. Soak it in cold water let it rest overnight. 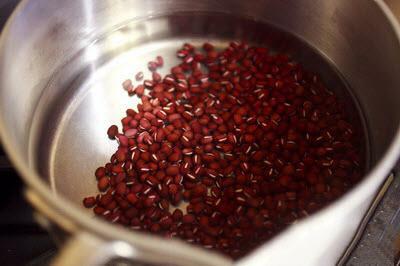 Step 2: Add red bean into a pot, pour water to cover all beans. 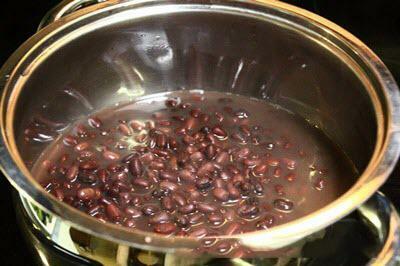 Cook until beans become soft. Add more sugar and cook with small heat. 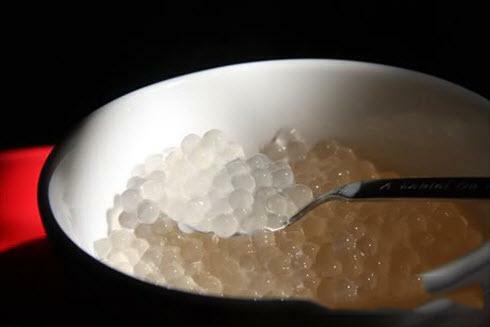 Step 3: Tapioca is doused in cold water, soak from 15 – 20 mins until it is all expanded. Step 4: Pour out the water from the tapioca. 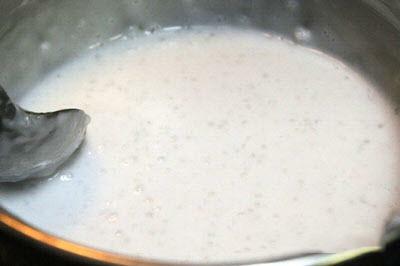 Add the tapioca slowly into the sweet soup. Use the tablespoon to stir it gently. When you see the tapioca float on the surface means it is cooked. Now you can adjust the sweetness according to your taste. Step 5: Add coconut milk, sugar & corn powder (or flour) into the sweet soup. Cook with small heat until the coconut milk looks gelatinous. Finish this step and we are almost complete one dish in many stunning Vietnamese Recipes. When serving this dessert, you need to ladled it into a glass with coconut milk on top, add some ice cubes & roasted peanuts on the surface. Finally, you can enjoy this stunning recipe from the list of Vietnamese Recipes. Do you like it? Remember to try this if you have a chance to visit Vietnam or at least you can cook at home for your beloved family can enjoy it. I bet you will not regret about your decision. Good luck to your cooking!